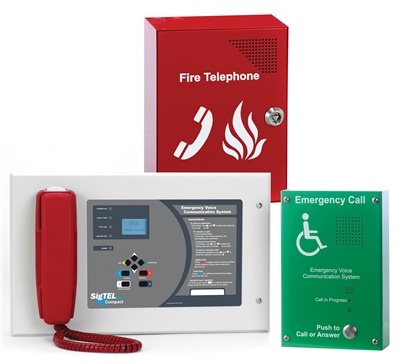 C-TEC’s SigTEL Emergency Voice Communication (EVC) System has been specifically designed to meet the rising demand for fully compliant BS 5839 Part 9 disabled refuge systems. The range comprises two wall-mounting master controllers (the ECU-4, pictured above right, and ECU-8 which can handle 4 and 8 lines respectively) and an eight line expansion unit, the ECU-8S. Typically located in a building’s control room or fire services access point, the ECU-4 and ECU-8 allow management and/or the fire services to communicate via a telephone-style handset with the system’s ‘outstations’.Two types of outstation are available (Type A and Type B). Disabled refuge systems use ‘Type B’ intercom style outstations. Our EVC302GF Type B outstation offers true hands-free duplex speech and allows anyone in a refuge area to communicate with building control at the touch of a button. Attractively finished in green steel, it includes connections for an optional induction loop system for the hard of hearing and a general-purpose relay output that closes on activation of the unit. 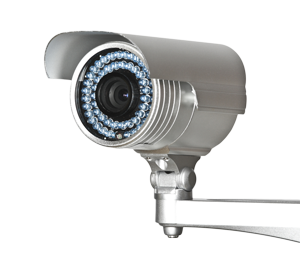 In addition to our EVC302GF flush outstation, surface, weatherproof and stainless steel versions are also available. Fire telephone and stadium marshal systems use ‘Type A’ telephone-style outstations. Our EVC301RPO outstation comprises a telephone handset in a push-to-open red steel cabinet. It is typically located at entrances and fire-fighting lobbies to allow fire marshals to communicate with building control during an emergency. Its housing has openings to allow its phone to be heard and an optional flush mount bezel is available. Both types of outstation connect to SigTEL’s central control equipment using two cores of 1.5mm sq. enhanced fire rated cable. For systems requiring more than 64 lines, C-TEC manufactures a 16-128 line system (pictured right) which utilises the same Type A and Type B outstations as our Compact system. The larger system’s control equipment comprises one CCU-16 16 line Master Control Unit and up to seven SCU-16 16 line Expansion Units. A separate ECU Desk Controller is also required to allow operators to communicate with the system’s outstations – click here for details.